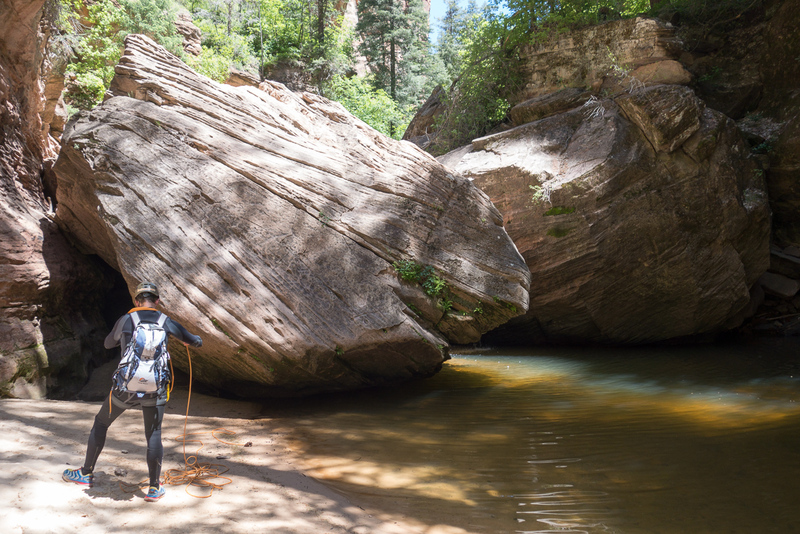 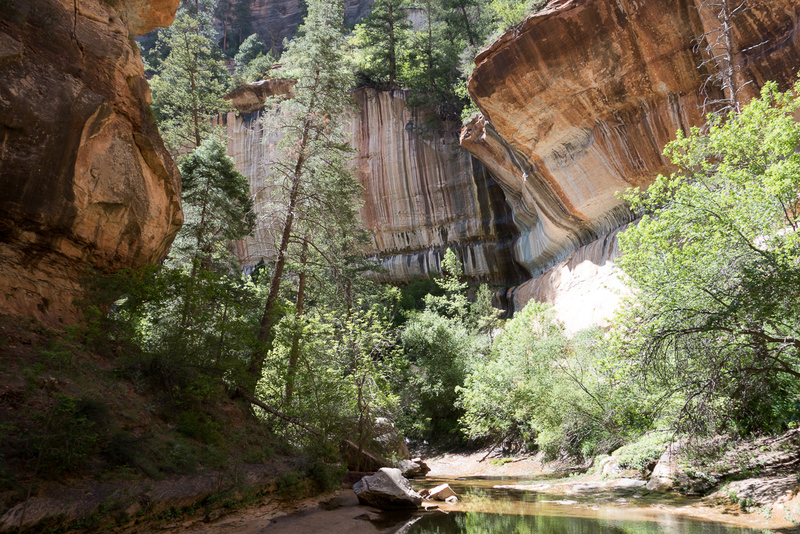 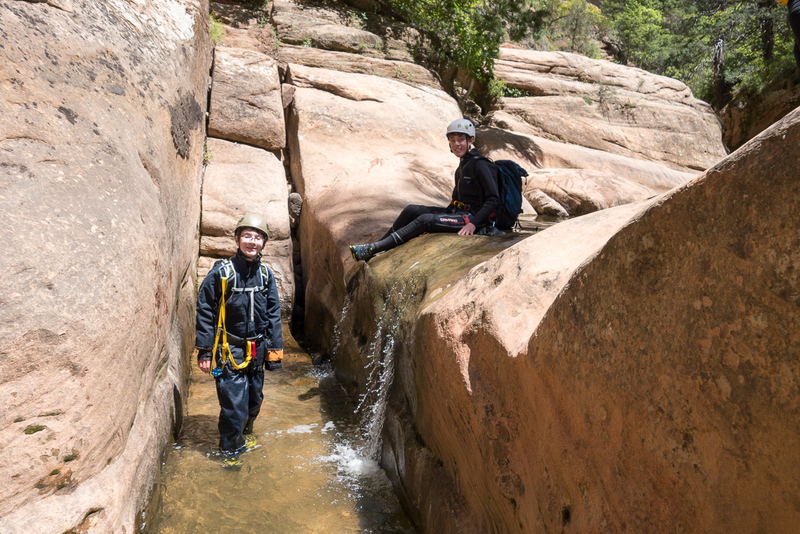 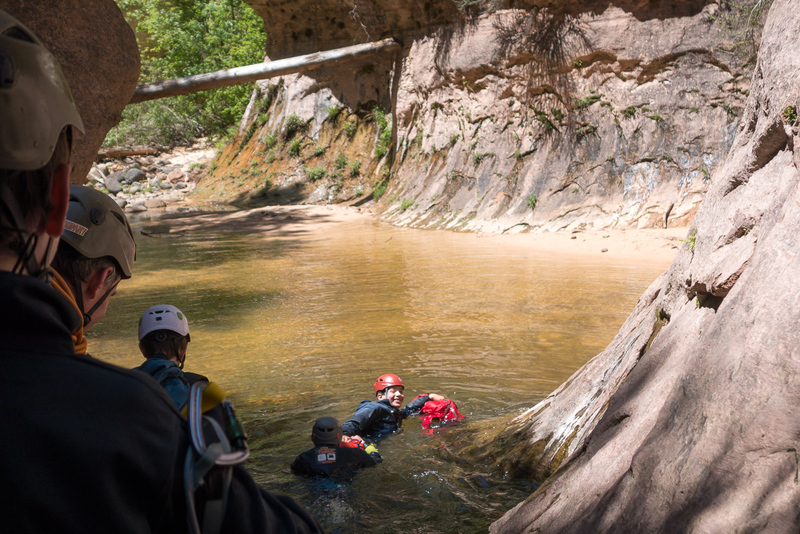 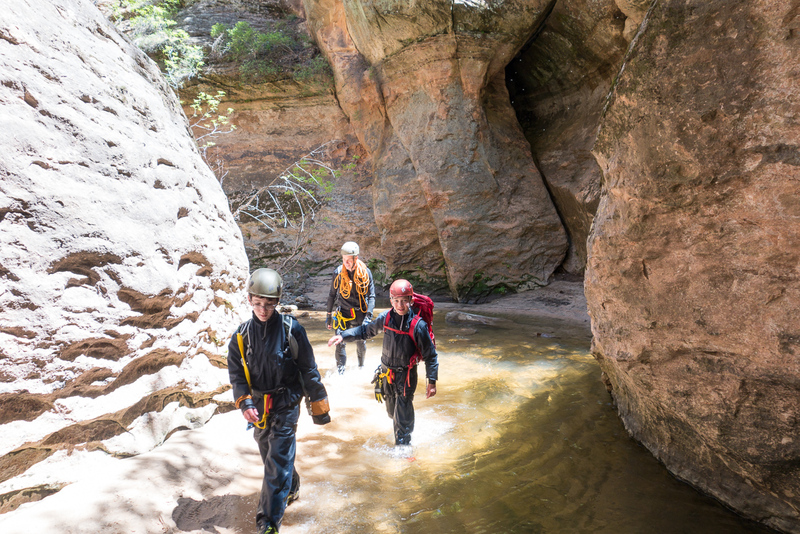 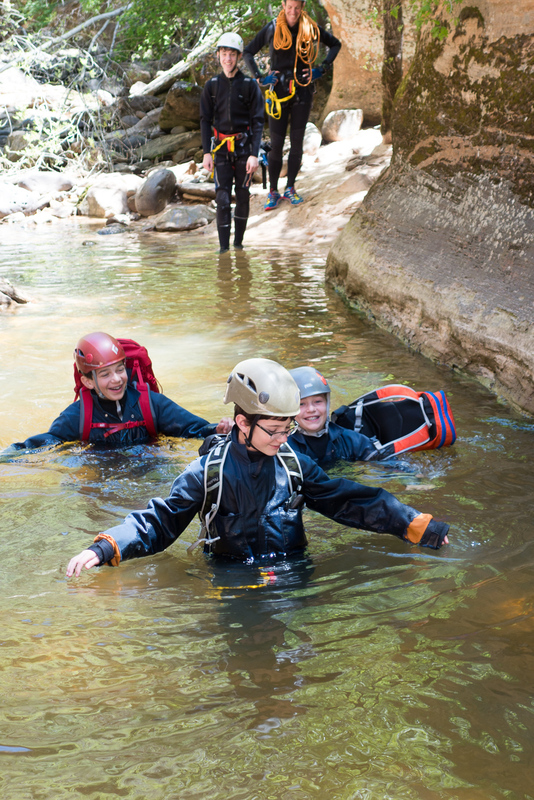 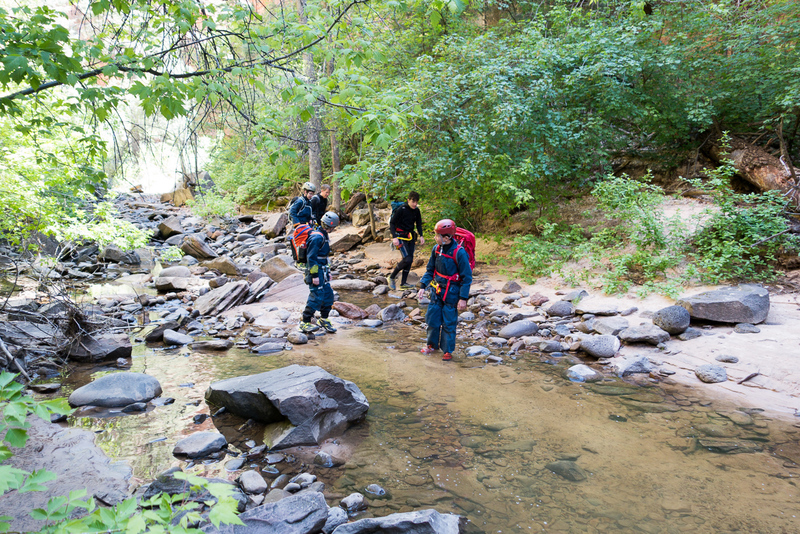 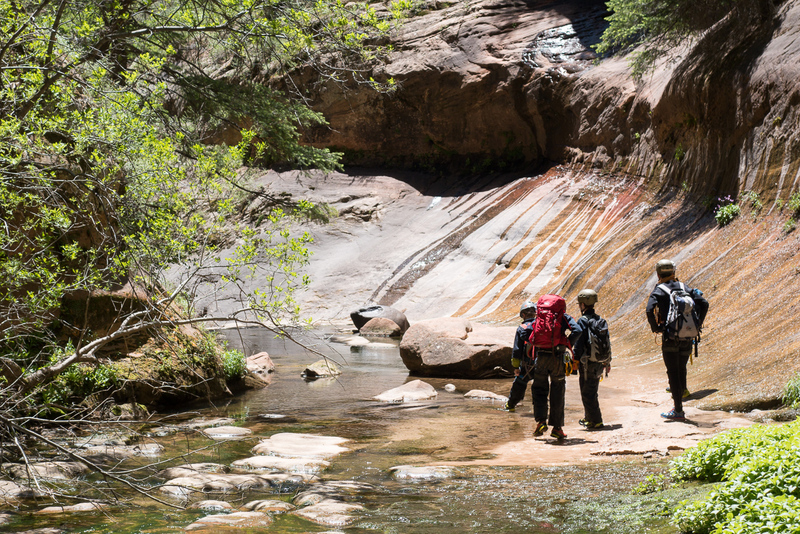 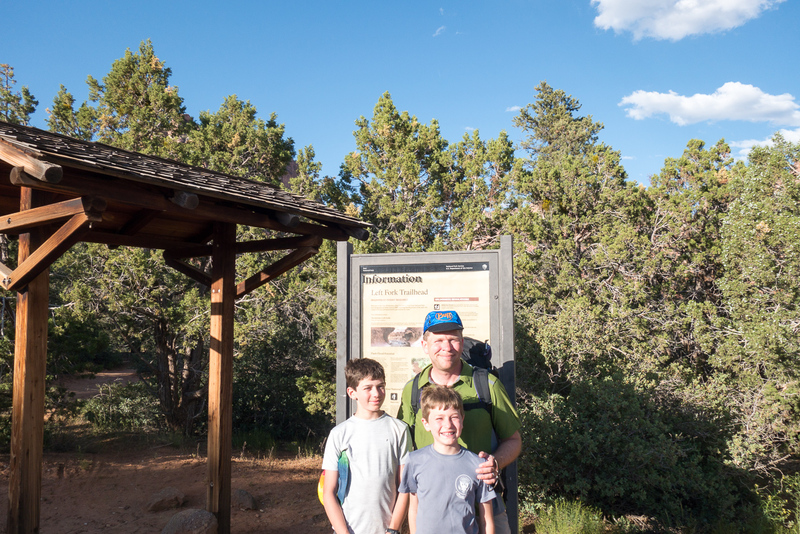 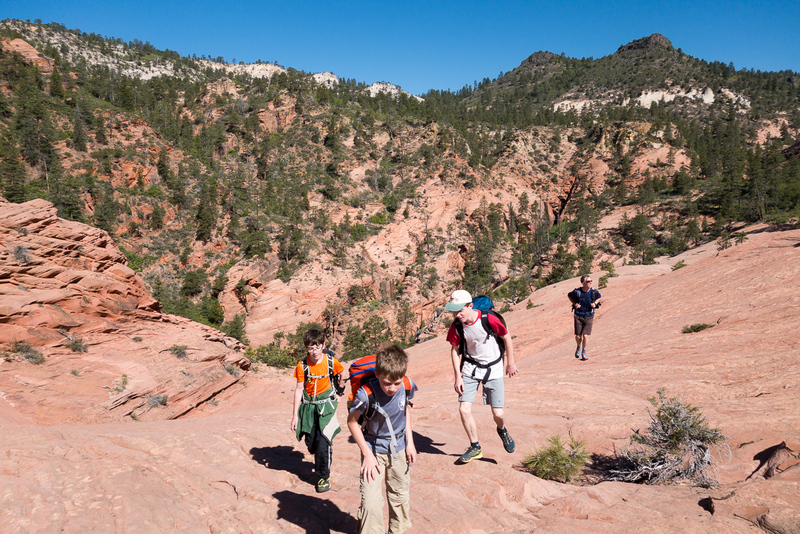 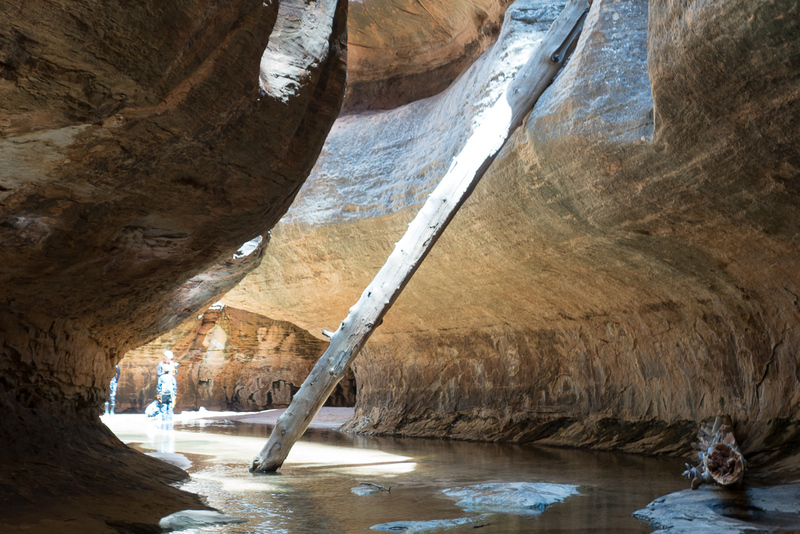 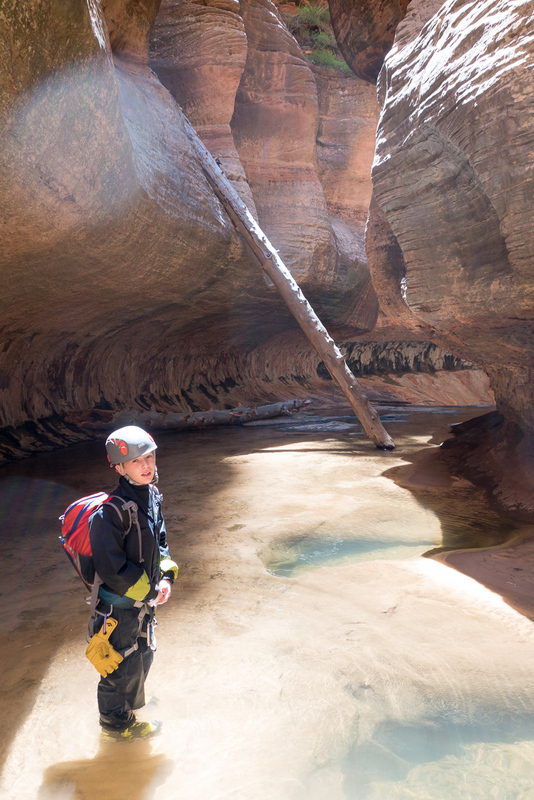 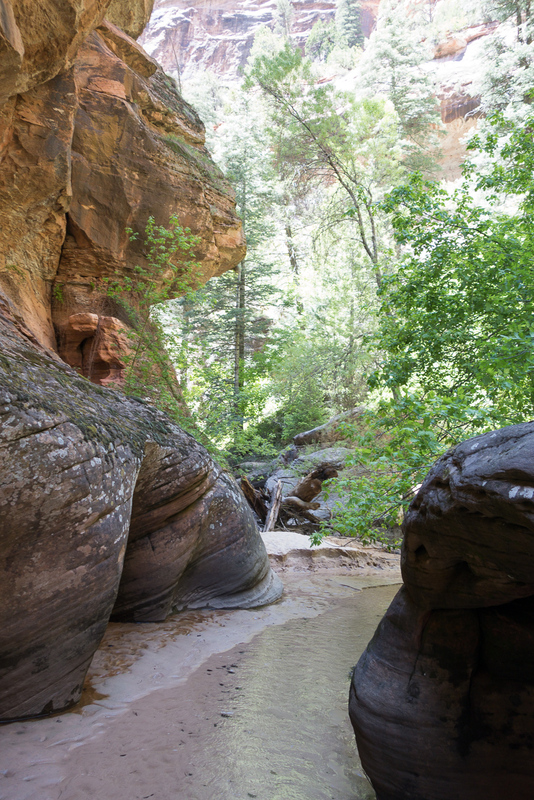 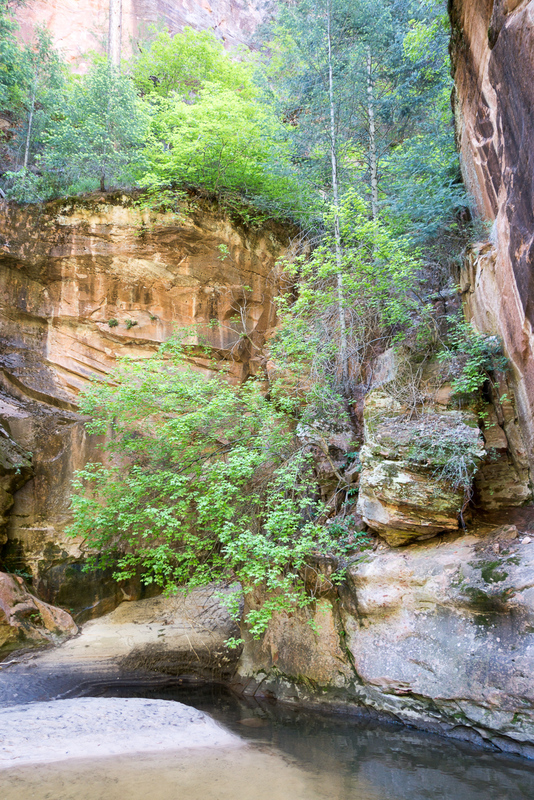 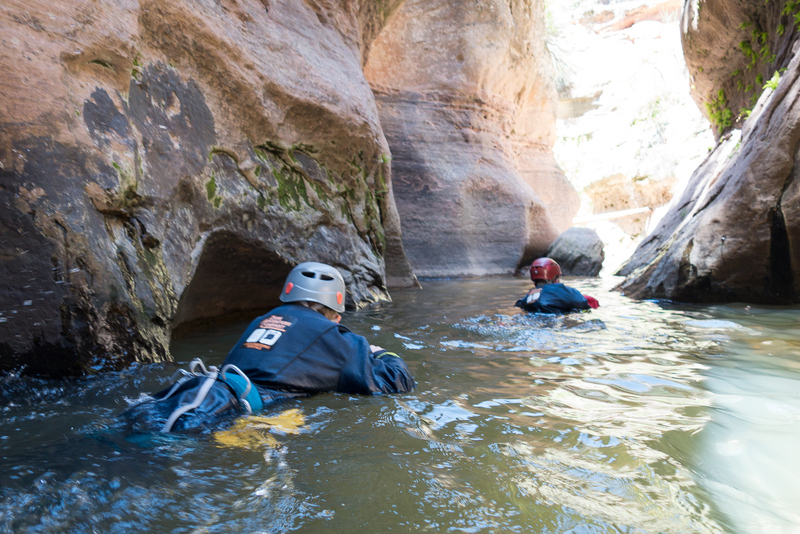 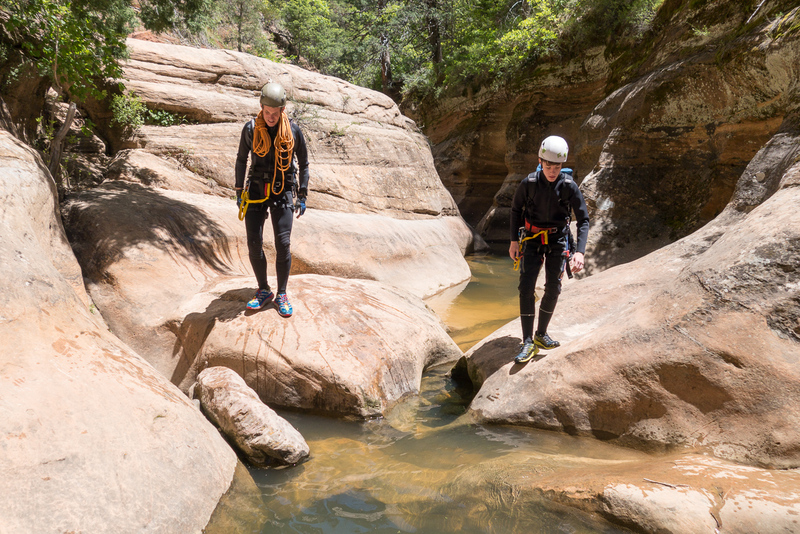 When Josh, my older son’s best friend’s dad, suggested that we take our combined kids through the Left Fork of North Creek in Zion National Park (more commonly called The Subway), I wasn’t immediately excited. 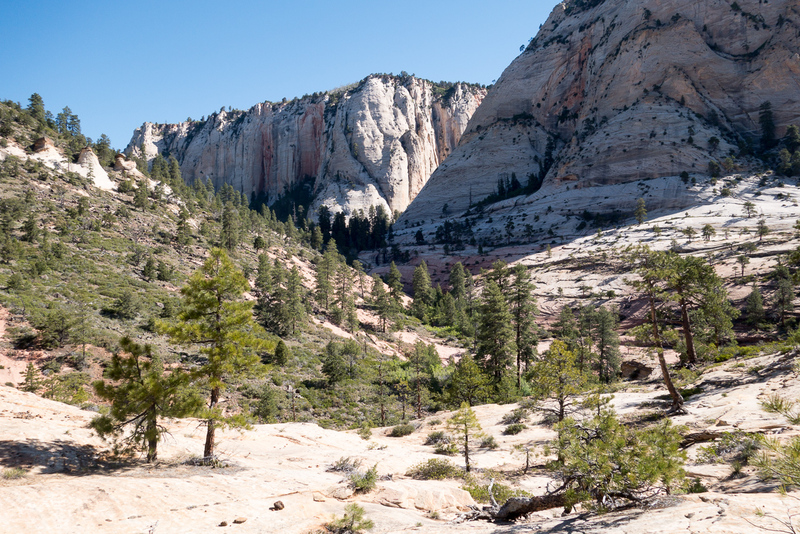 For one thing, it’s a somewhat technical canyon, and for another the permit that we got was for mid-May, towards the end of the spring runoff, when the canyon would contain plenty of deep, cold water. 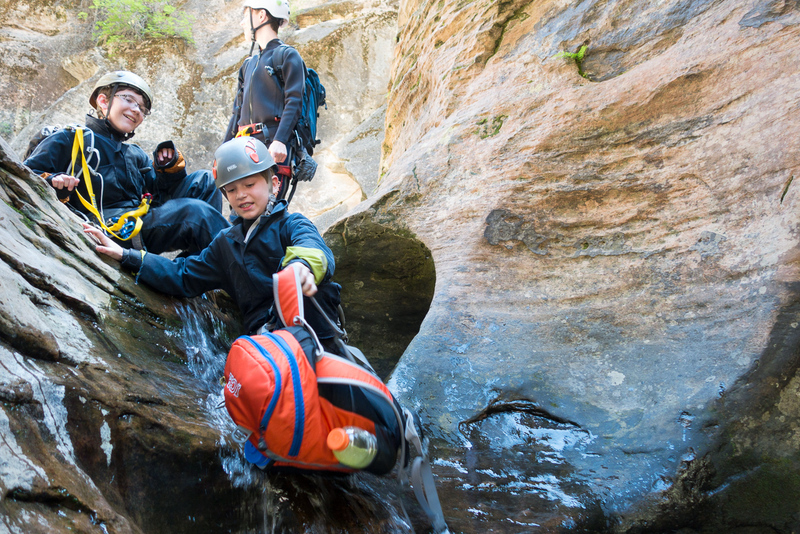 The first problem to be solved was figuring out a process where we could get our kids safely down multiple rappels in the canyon. 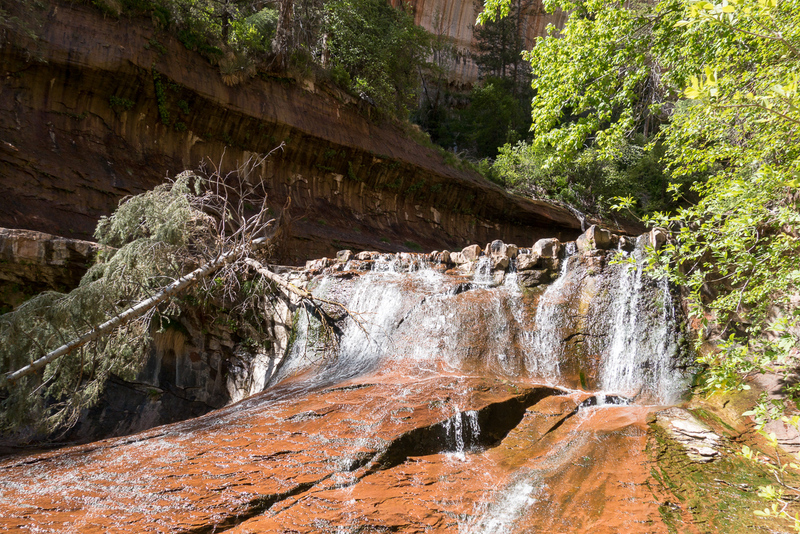 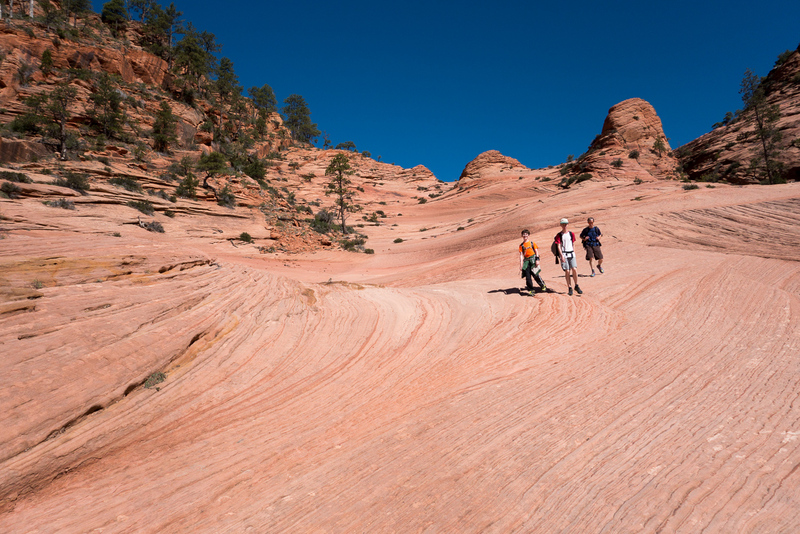 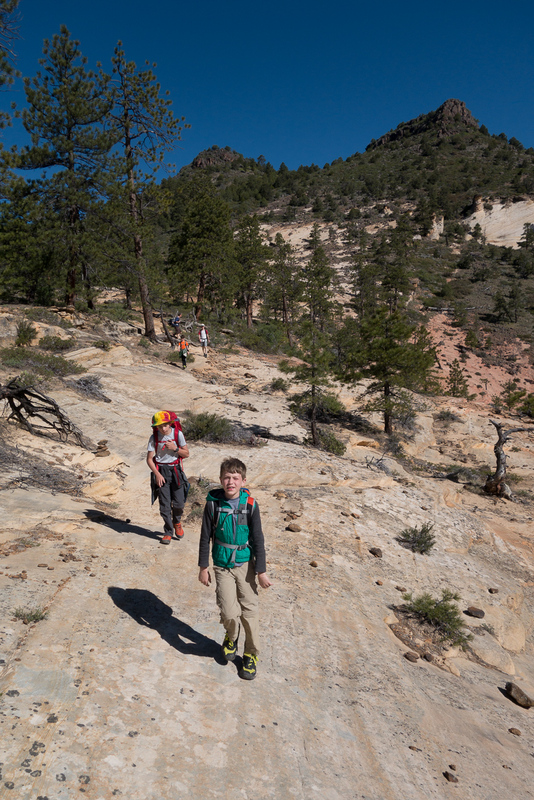 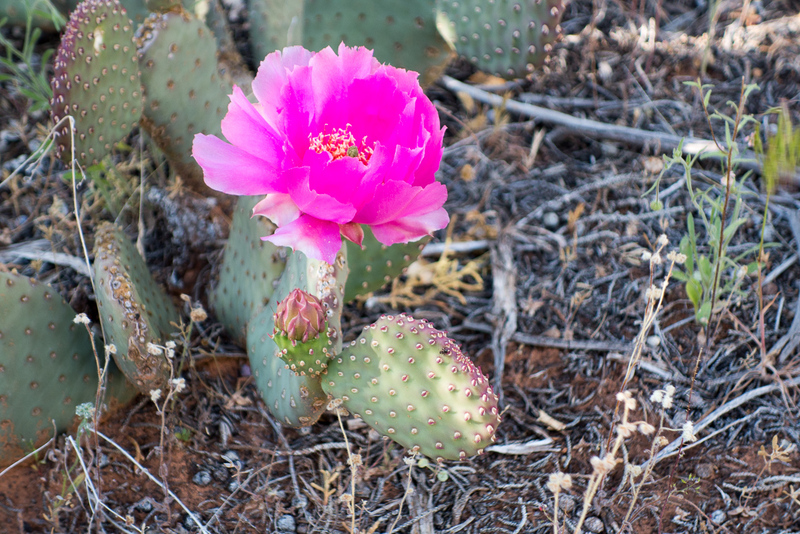 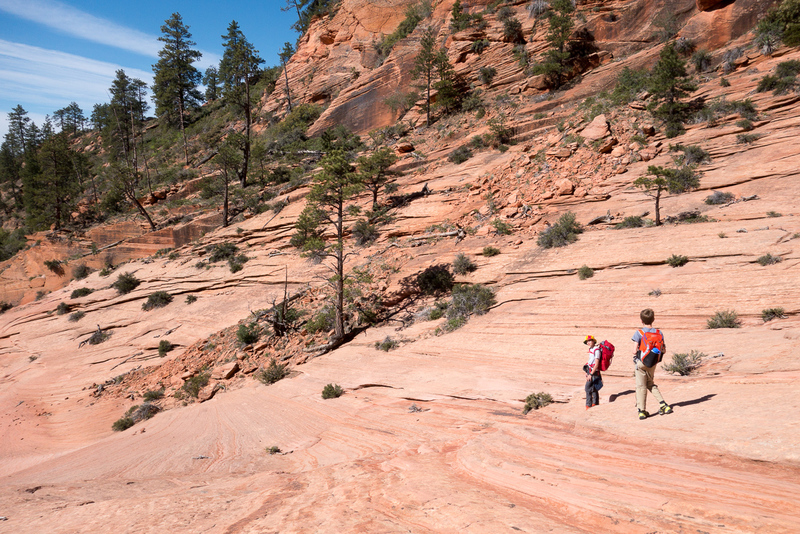 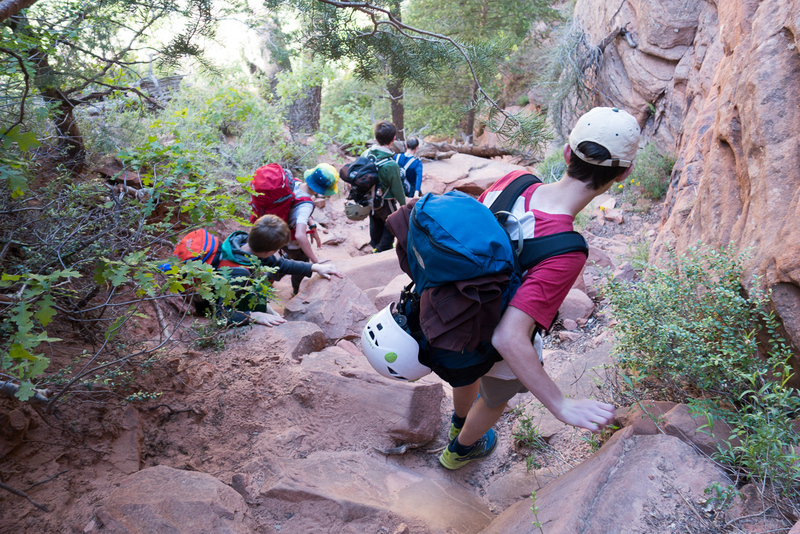 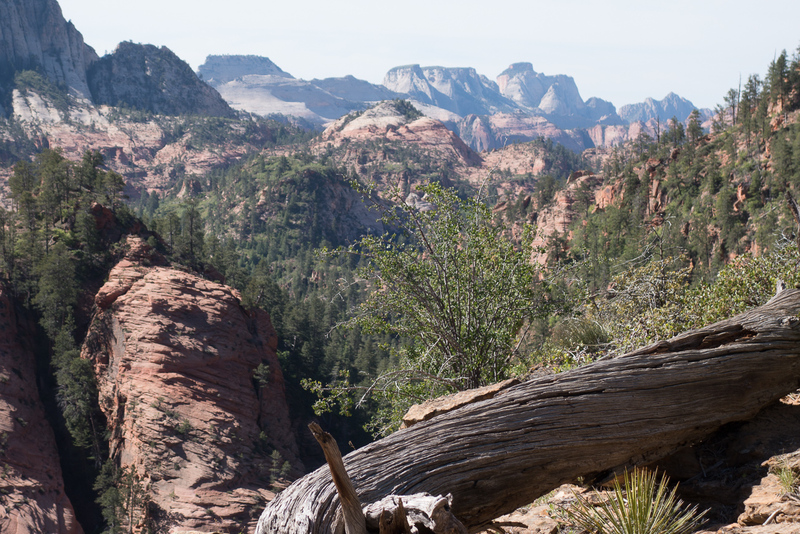 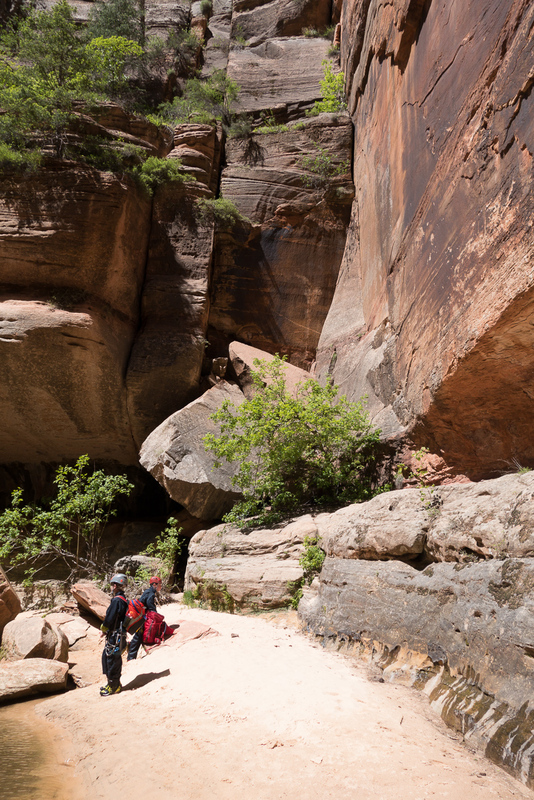 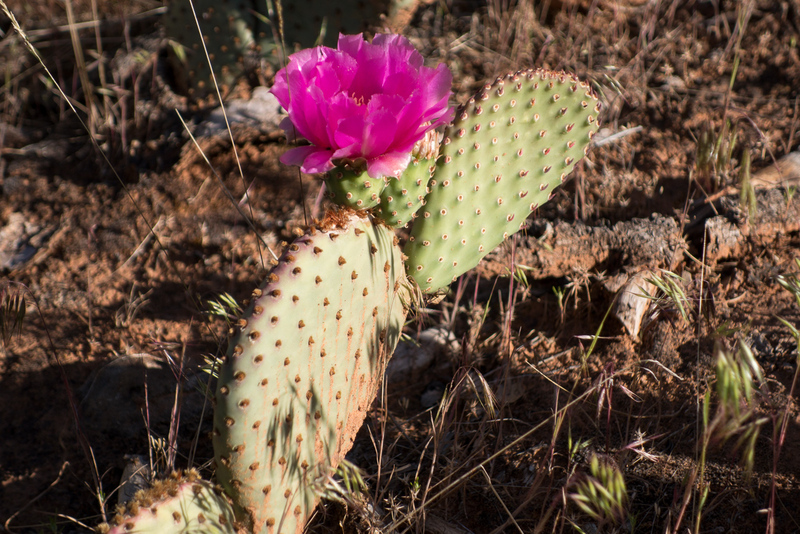 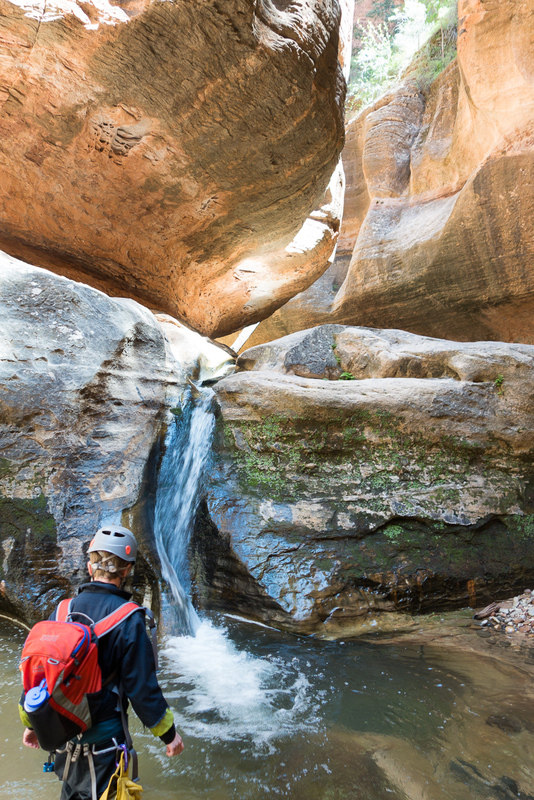 We couldn’t just hire an experienced guide since Zion NP doesn’t allow that. 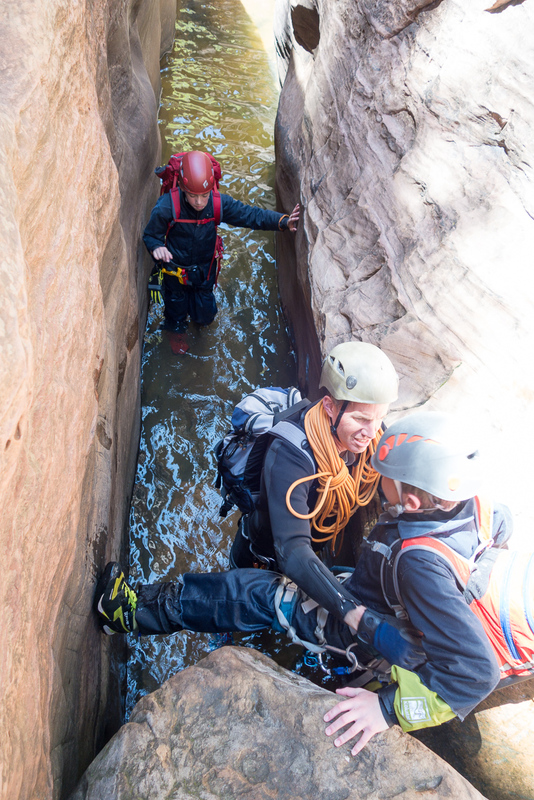 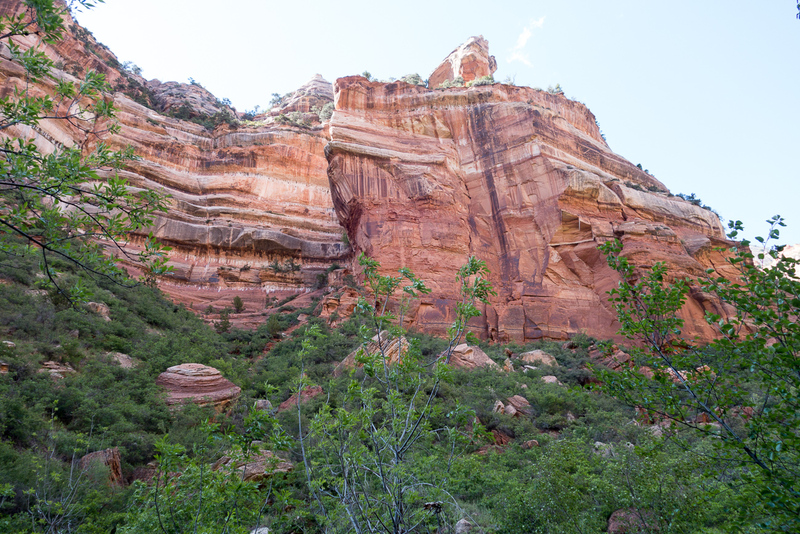 We settled on spending a couple of sessions practicing rappelling with an instructor before leaving home, and then doing some more practicing in Zion before entering the canyon. 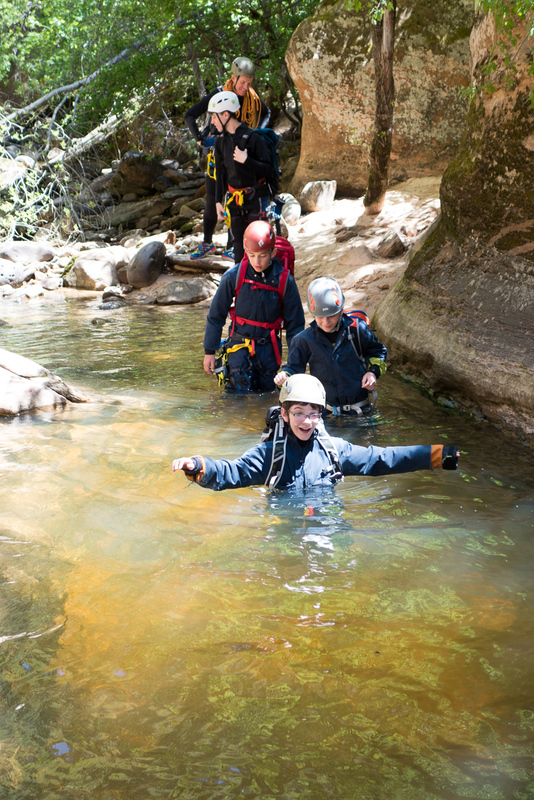 I was ready to nix the trip if any of the kids seemed unsafe but they all did really well. 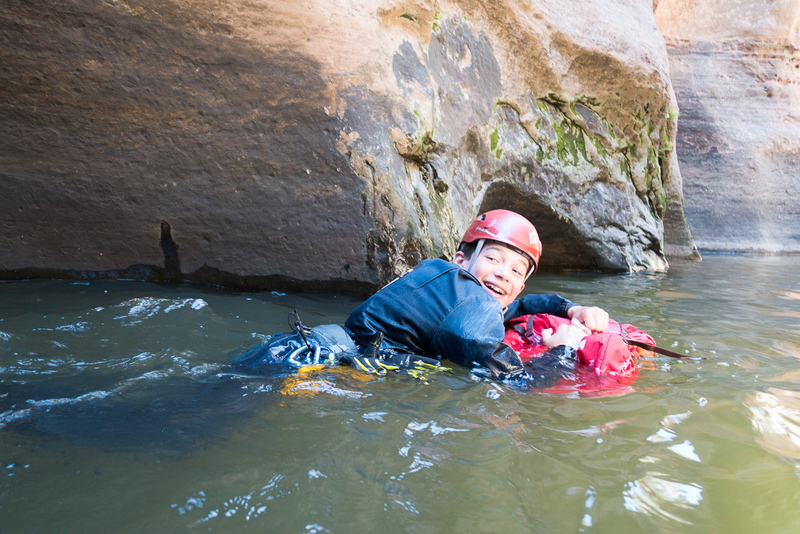 We ended up with a process where Josh would rappel first, then the kids would rappel down with me backing them up with a belay, and then finally I’d rappel with Josh giving me a fireman’s belay. 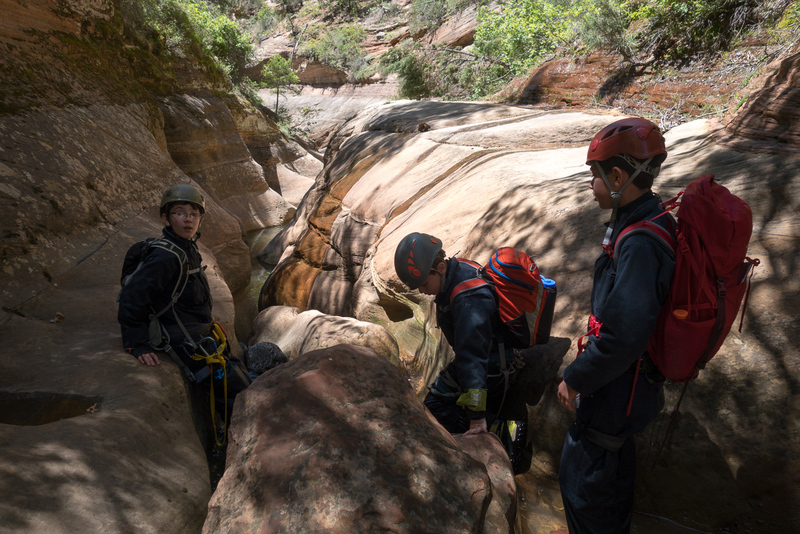 The rappels in this canyon are fairly short so we knew that a number of common failure modes (unable to communicate, rapping off the end of the rope, etc.) 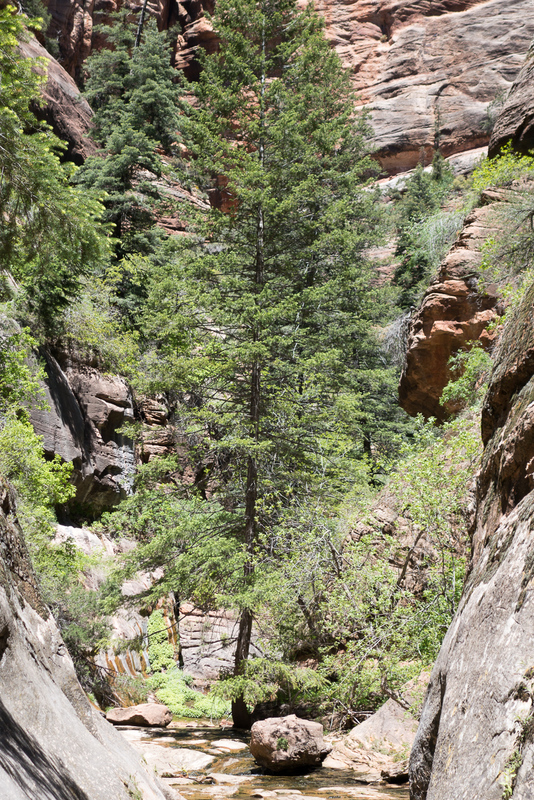 weren’t going to be an issue. 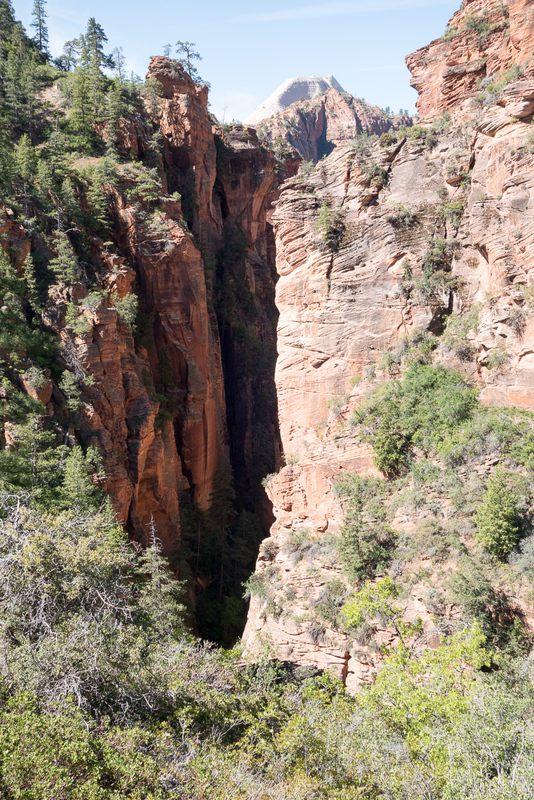 Also the canyon is bolted so we wouldn’t have to worry about building anchors. 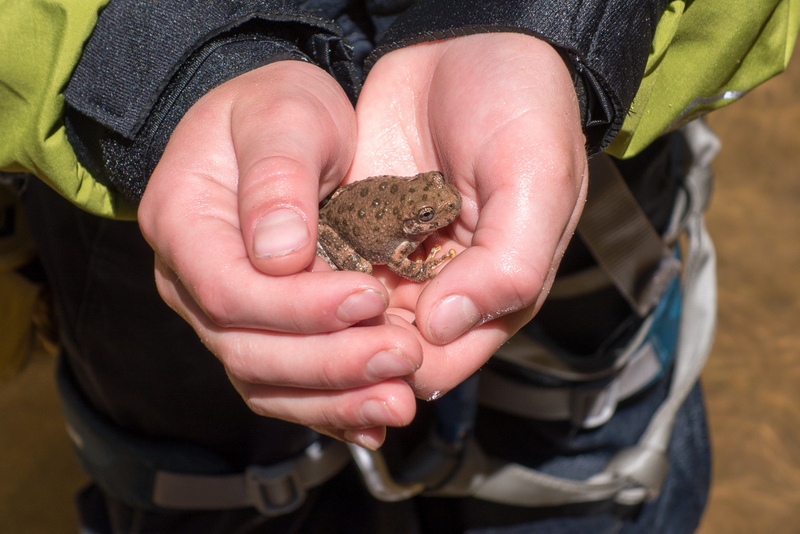 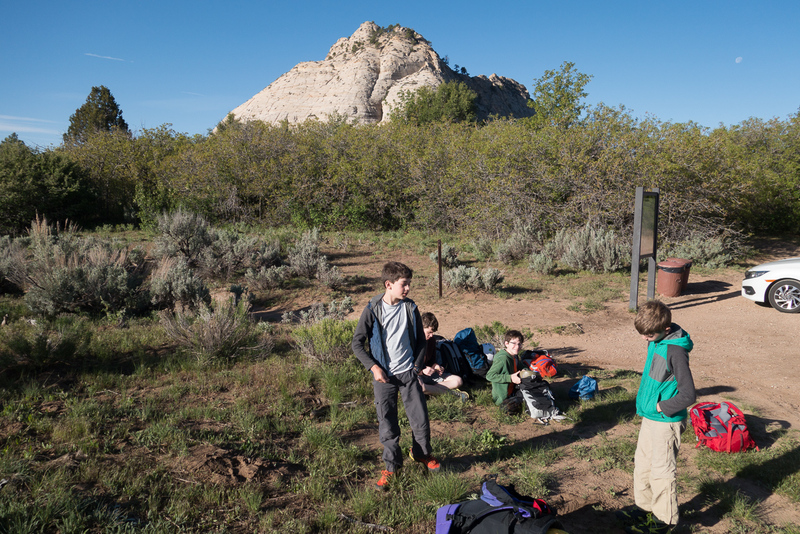 We spent a lot of time making sure the kids wouldn’t get fingers/gloves/clothes pinched in their belay devices. 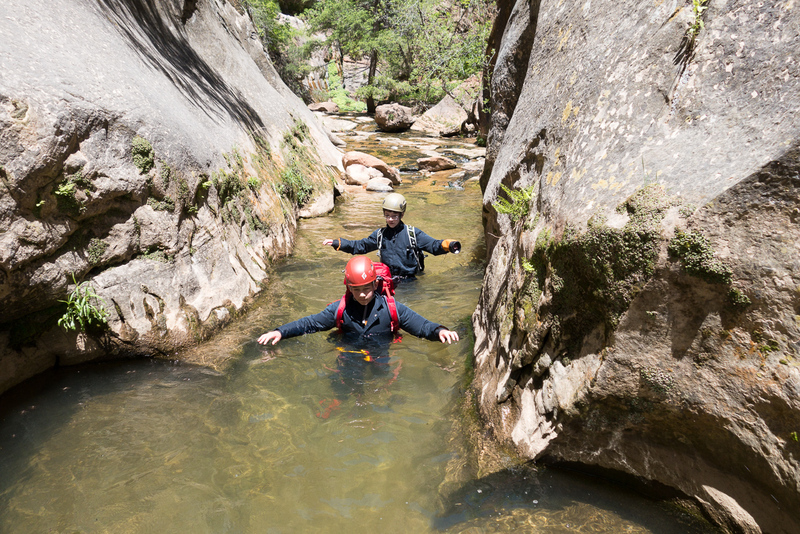 The second problem was dealing with 40°F / 4°C water. 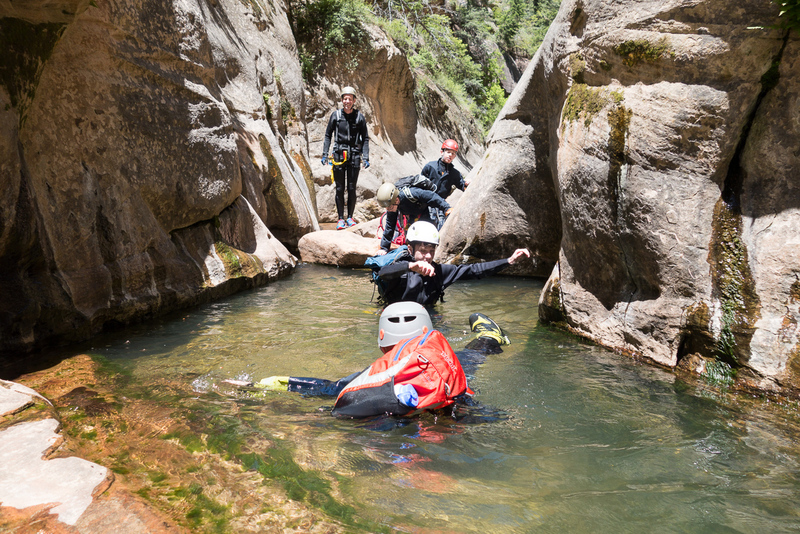 We ended up renting drysuits for the three younger children and putting the rest of us in wetsuits; this worked well. 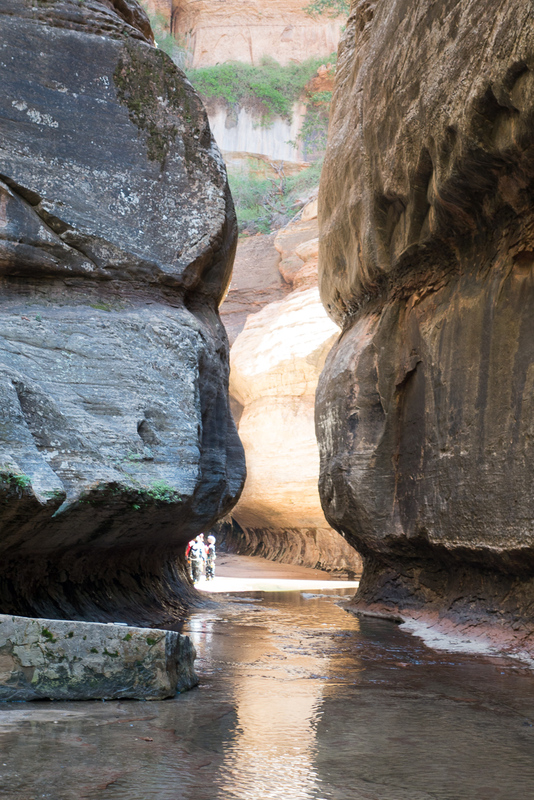 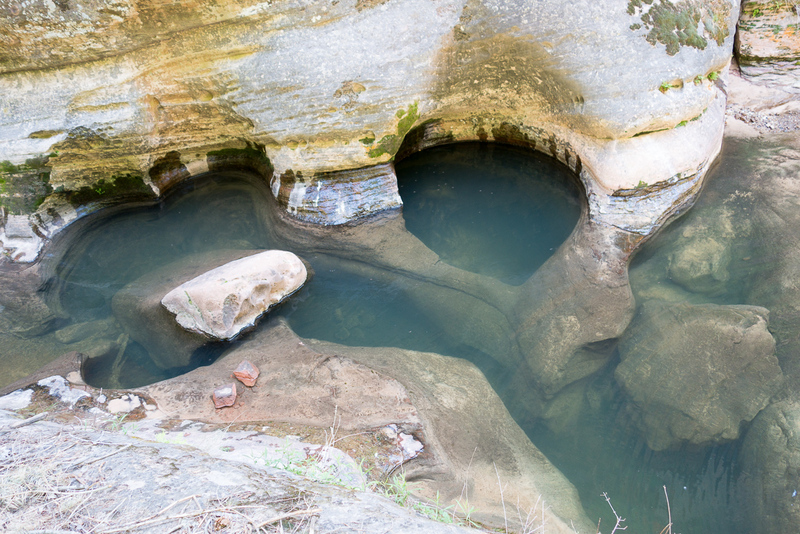 I saw a bit of chattering teeth in the longer water sections but luckily we were in the deepest part of the canyon in the middle of the day and there were always patches of sun to warm up in. 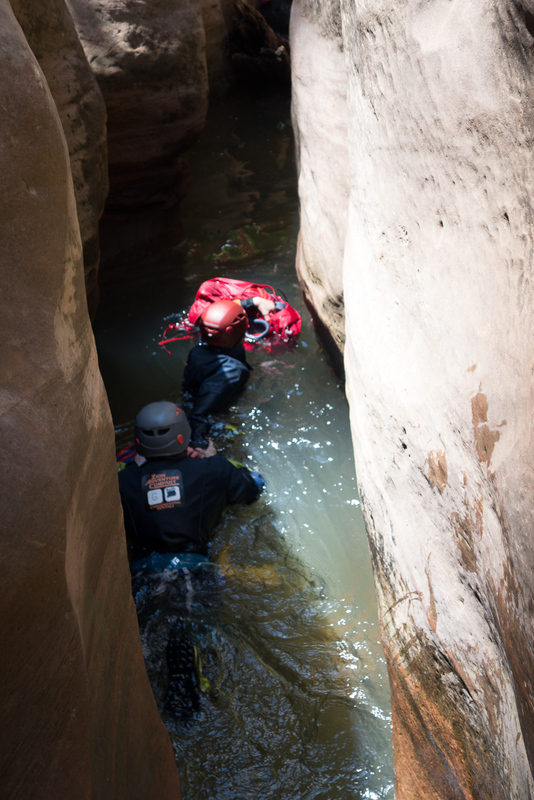 After this there’s a final technical obstacle, a 15 m rappel, and then a long and not particularly easy or fun walk out. 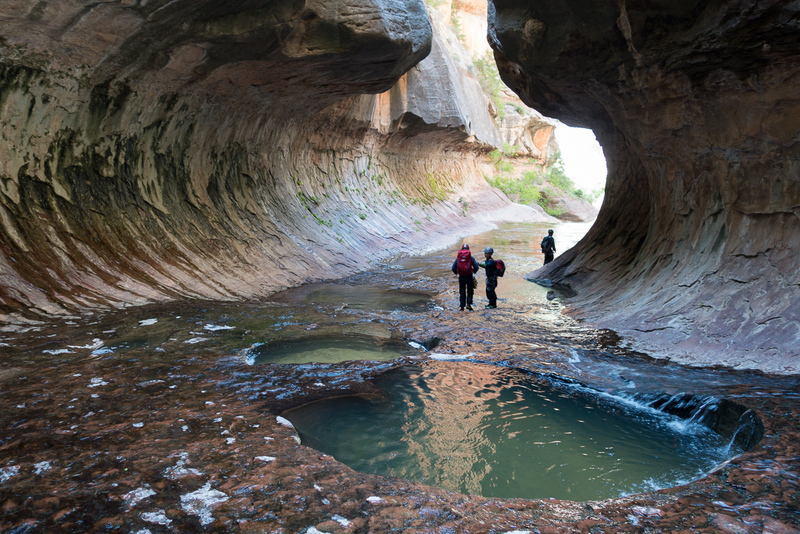 That looks way cool. 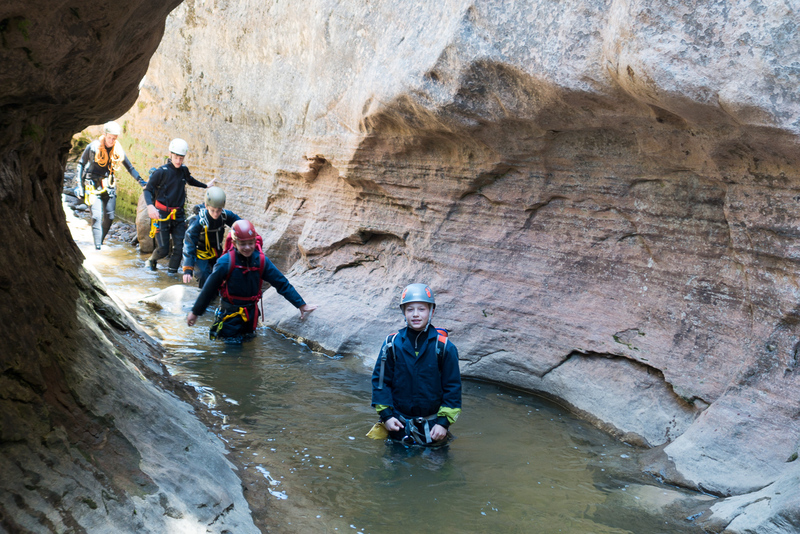 What a great way to spend a day with the boys!